Alibaba-owned UC Browser has been removed by Google for allegedly sending user data to remote servers in China. The browser was delisted from the app store for misleading and unhealthy promotions. The action was taken after the application came under the Indian government’s scanner for allegedly sending data. It was said that the application could access user data even after its removal from the phone. The Centre for Development of Advanced Computing in Hyderabad is investigating the matter. 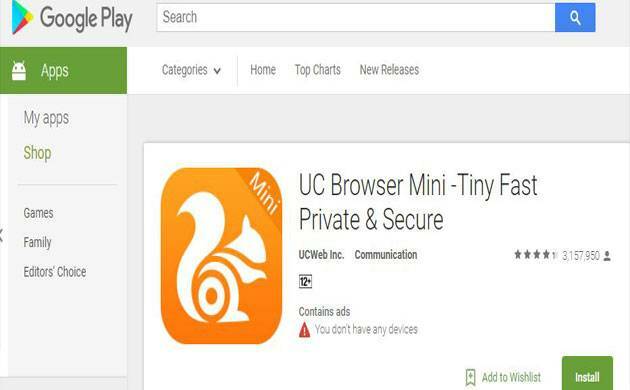 However, the Official UC Browser Mini is still there and can be downloaded.